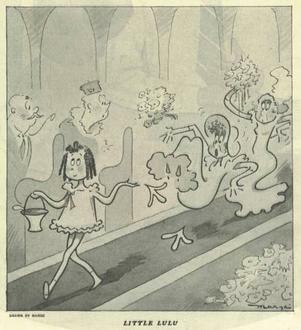 As we don our capes, we might recall that it was on this date in 1935 that America was introduced to Little Lulu (in the February 23 issue of The Saturday Evening Post), appearing as a flower girl at a wedding and mischievously strewing the aisle with banana peels. Created by Marjorie Henderson Buell (whose work appeared under the name “Marge”), Little Lulu ran as a regular panel in the Post through 1944; then as a comic book and a comic strip into the 1980s. 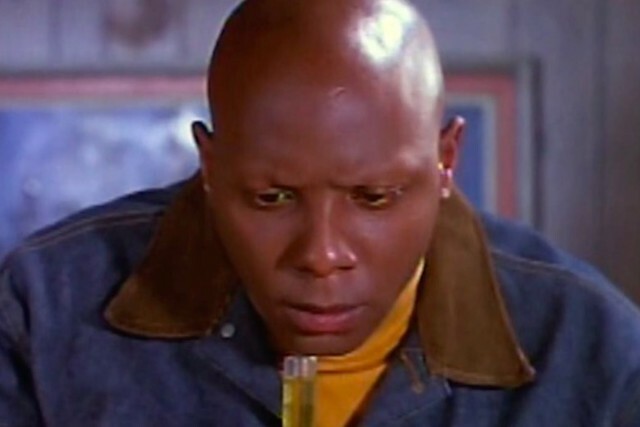 She also appeared in a series of animated theatrical cartoons and in a number of TV series and specials.